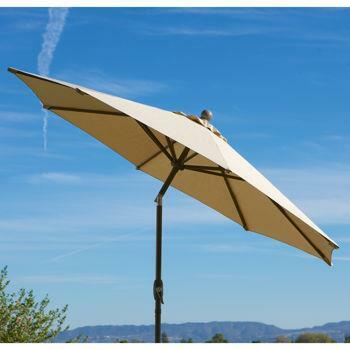 9' auto tilt aluminum market umbella with a natural brown top. It includes a 66# umbrella base. It is NOT recommended to be used in windy locations. * Please call us for any questions on our umbrella 9 foot market natural rentals in St. Helens OR, Scappoose and the South Columbia County area.